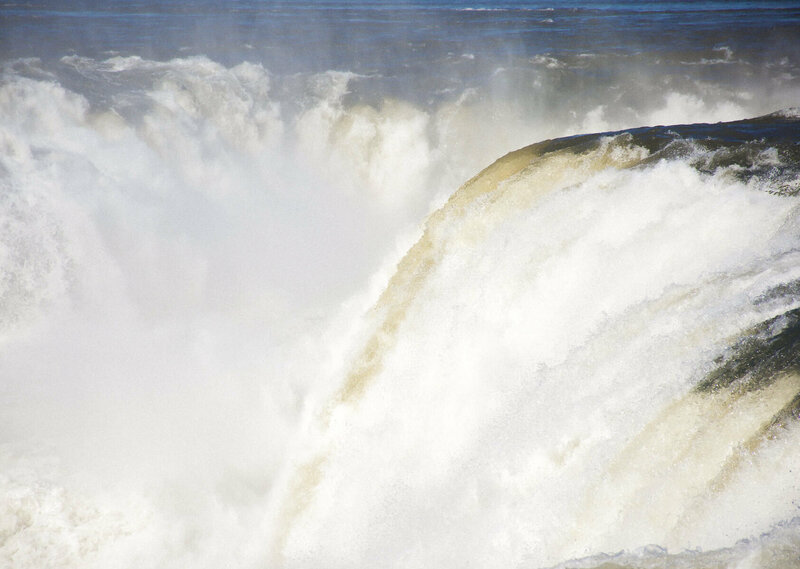 Arguably the most impressive waterfall in the world, Iguazu Falls is a place that is sure to capture your heart. 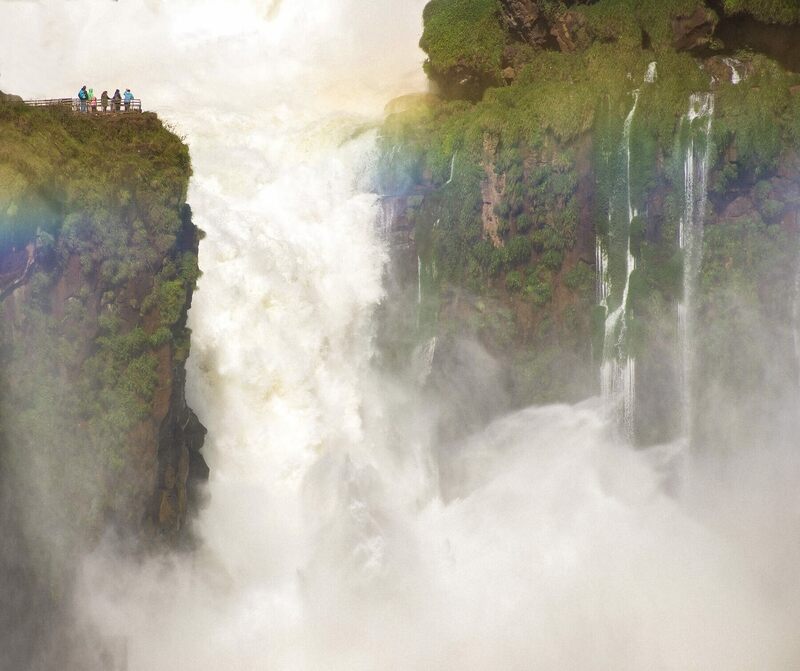 Situated in the midst of Iguazu National Park, this magnificent natural wonder is actually a combination of over 275 individual waterfalls; each with beauty and power that creates a spectacle like no other. My trip to this beautiful part of South America was one that will always be ingrained in my mind… For more reasons than one. 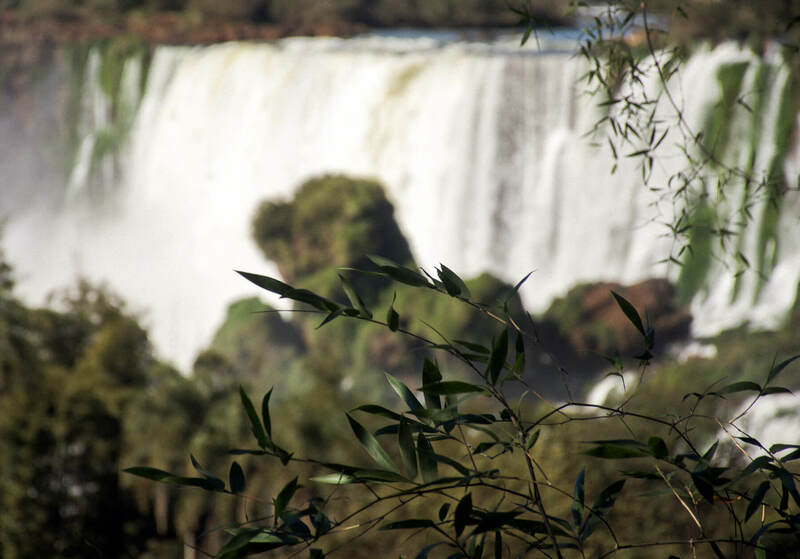 To start off, before coming to Iguazu Falls I was well and truly aware that this was a landmark that I was going to love – and I was right. But what I hadn’t taken into consideration was just how large this attraction had really become. I’m going to give myself the benefit of the doubt as my last real experience with waterfalls was in Iceland, and they’re incredibly relaxed there. 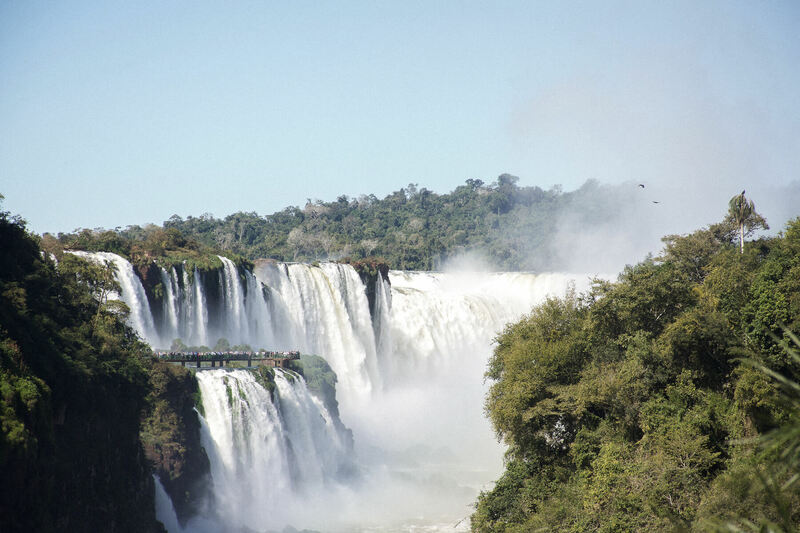 There are no entry fees, long queues or safety precautions for that matter, so when I arrived at Iguazu National Park I was really quite surprised at the difference. But we’ll get into that a bit later! 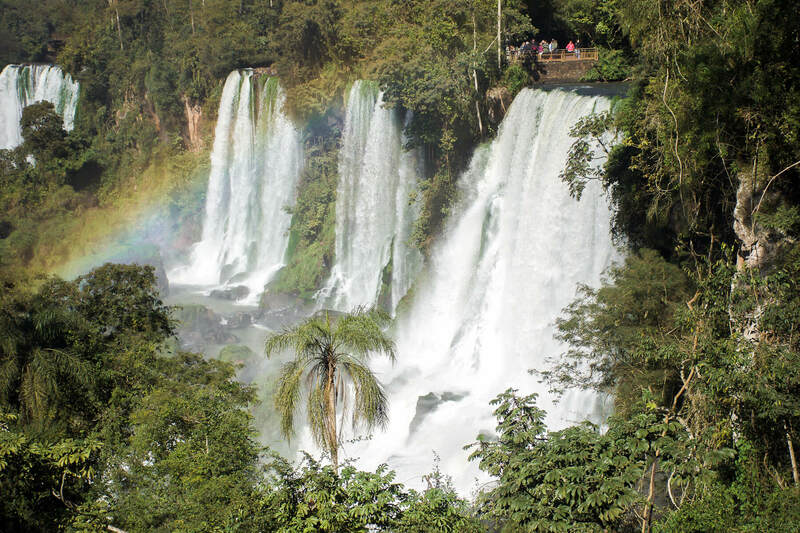 This beautiful park is a place with an extremity of natural beauty; the 275 waterfalls that create Iguazu Falls is so unlike any waterfall I have seen, and that is pretty special. I can certainly see where its frequent title of “the best waterfall in the world” starts to come into play. The water plummets with such force that the crashing sound can be heard from miles away. It’s a sight that everyone should see, one that really makes you feel incredibly small in comparison. 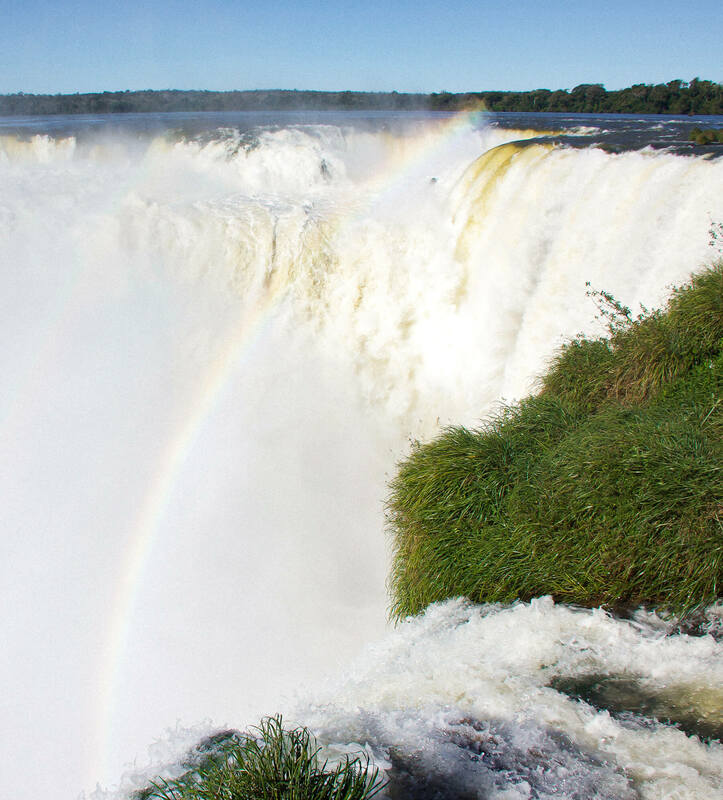 The falls are basically a divider between Brazil and Argentina. The country that you enter on is the country that you’ll stay in during your visit to Iguazu (unless you go on a boat ride as you might cross the border) but otherwise, all paths will stay in the country that you entered in. On my visit, I entered the park via the Argentinan side. There are only 3 major path routes around the park – the upper circuit, the lower circuit, and the devil’s throat circuit. Each of which has a path that is only about 3 people wide. So as you can imagine… They got very busy, very very quickly. There were parts of each circuit where we were at a dead standstill for minutes on end; people would get pushy and a walk that would normally take about 20 minutes, slowly began to take 40. The viewing platforms became incredibly crowded that you could only view the falls for a few seconds before being barged out of the way. It was disappointing, I’m not going to lie. But what can you do when there is such an amazing waterfall that so many people want to see? It’s totally understandable… But not entirely what I was expecting. I know that I may be making it sound like a bad experience, but that’s not true at all. Aside from the common walking trails, there are boat trips, helicopter flights and train rides to give you optimal viewing experiences of falls. You may be waiting a while in the queues, but I guarantee the outcome will be totally worth it. After all, nothing could possibly put a dampener on something as beautiful as Iguazu. 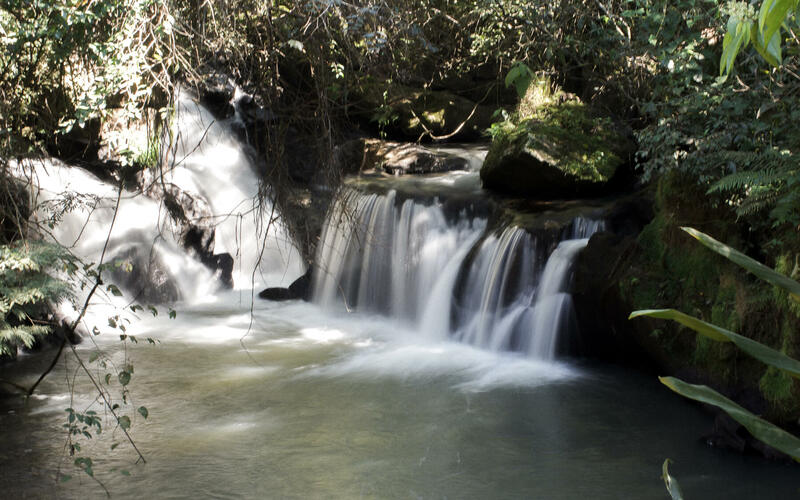 There are hidden waterfalls within the rainforest at almost every turn, even in the areas so far from the major attraction – the entire park is basically a natural beauty in itself! Now onto the main attraction: the devil’s throat. I can almost guarantee that you will never see water as powerful as this. The largest singular waterfall in Iguazu, and the border of Brazil and Argentina, this is an attraction that you surely cannot miss. 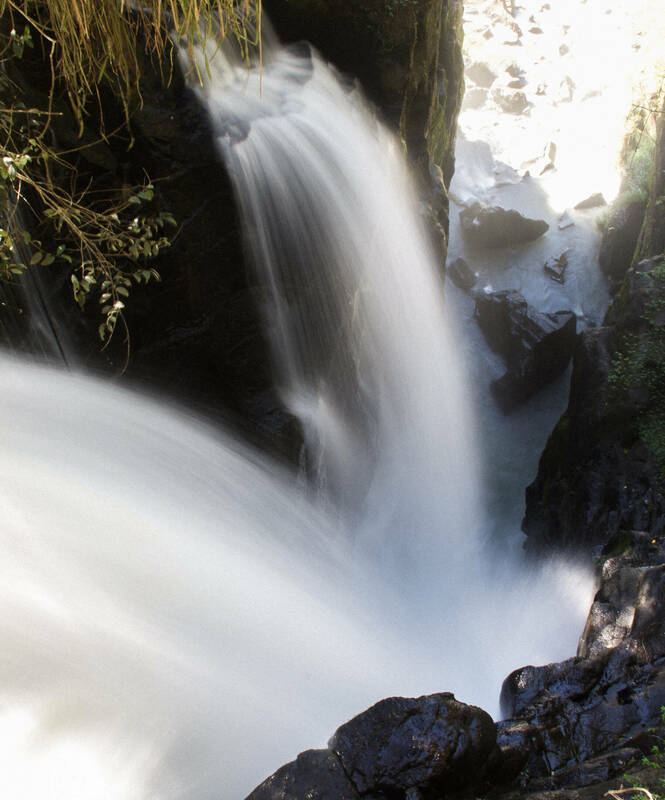 The water at devil’s throat plummets almost 80 metres to the floor below, showing an incredible display of force along the way. 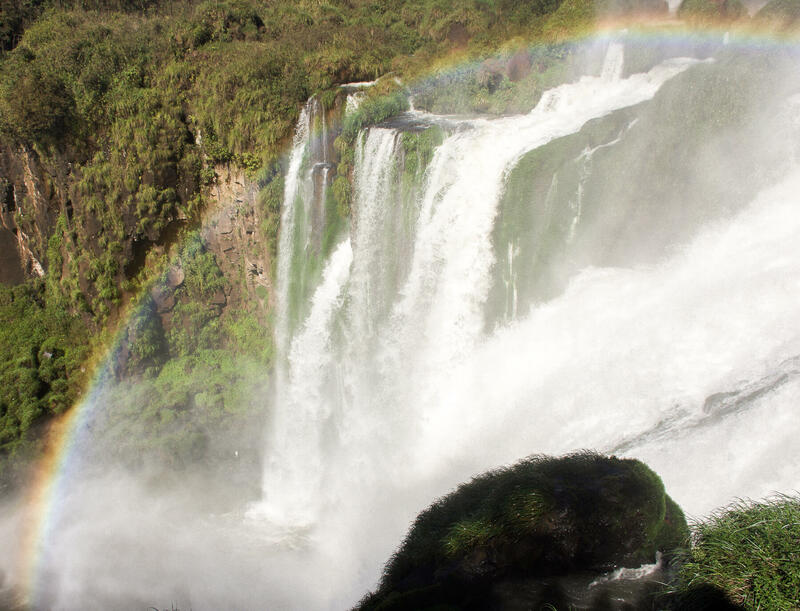 I think my favourite thing about Iguazu Falls (apart from the falls itself of course) is the abundance of beautiful rainbows that show their grace throughout the entire park. I’ve never seen so many in one place before – it certainly makes an already incredible display, that little bit more magical. 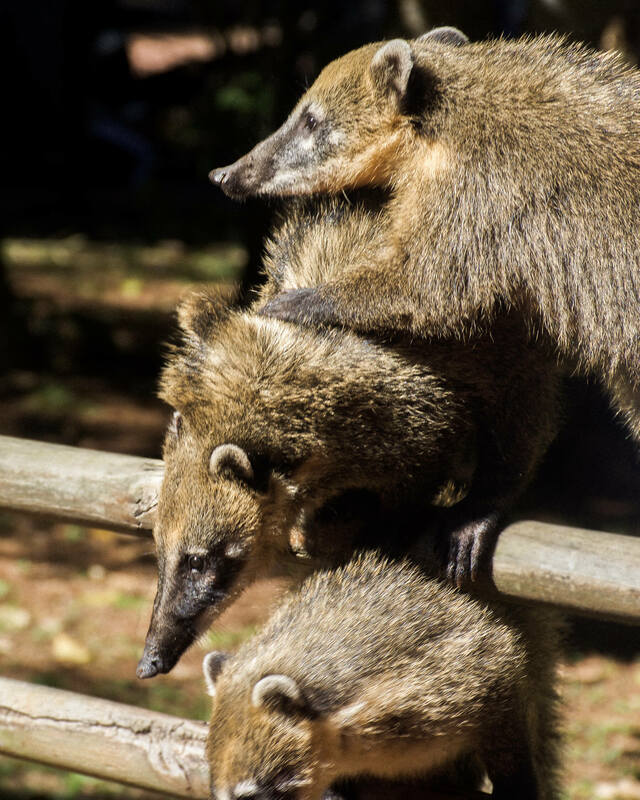 And not to mention the amazing creatures that scatter around the grounds… Coati’s cause havoc throughout the entirety of Iguazu National Park; stealing visitors food and looking pretty damn cute while they’re at it. Don’t be fooled though – there are a lot of signs around the park warning of their vicious nature… But they certainly do add a lot of character and amusement to a long day of exploring. The entire day, including the one hour flight, the busy crowds and the extremity of the falls, created a day that I’ll always cherish. 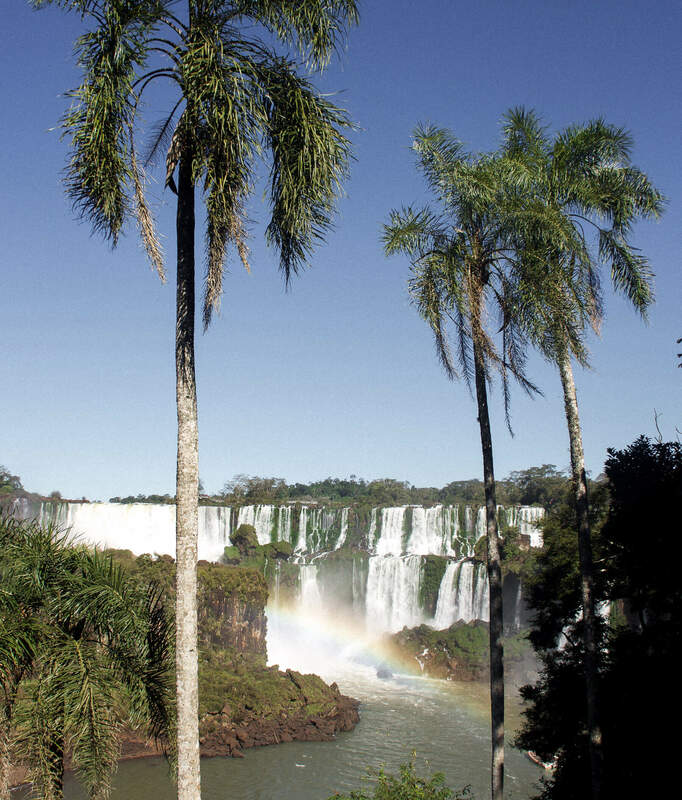 Iguazu Falls is very deserving of its praises and amazing reviews, there’s absolutely no doubt. 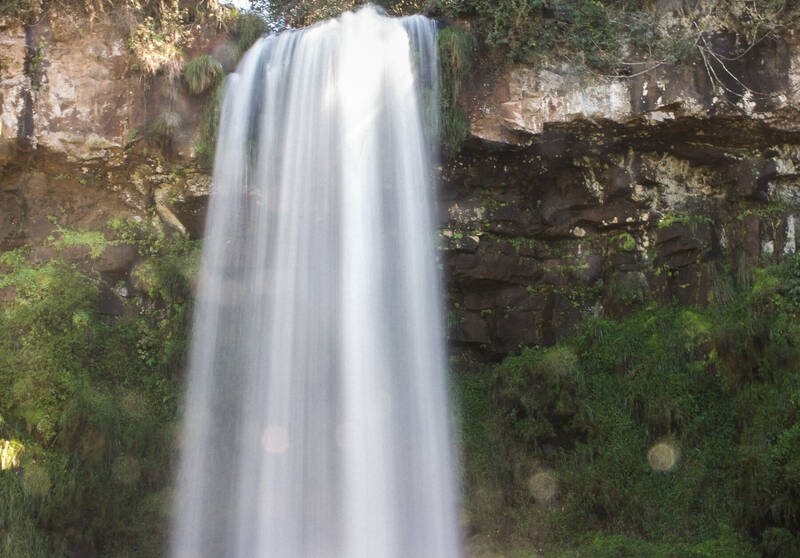 Even though it got overly busy and the paths were a little too narrow, nothing could take away from the amazing sights that Iguazu National Park withholds. Would I recommend a visit to this magical place? 100 X yes! 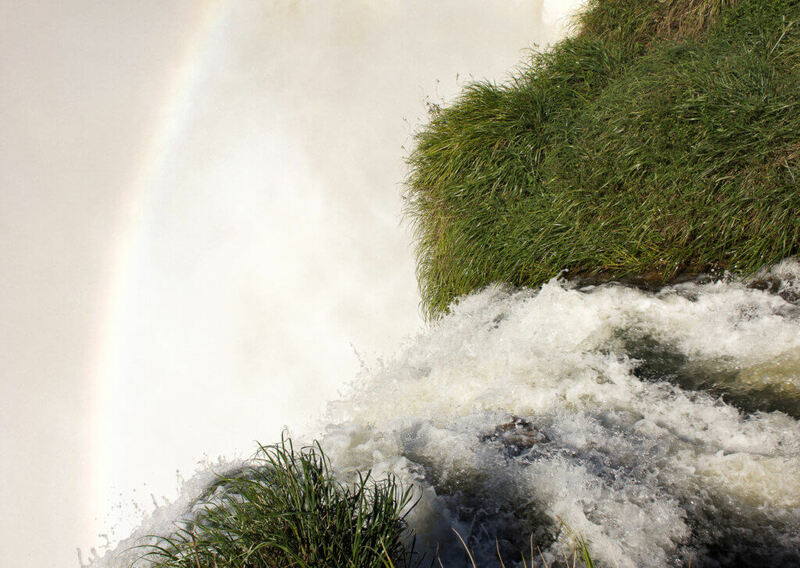 And without a single flicker of hesitation – Iguazu Falls will always hold a dear place in my heart. 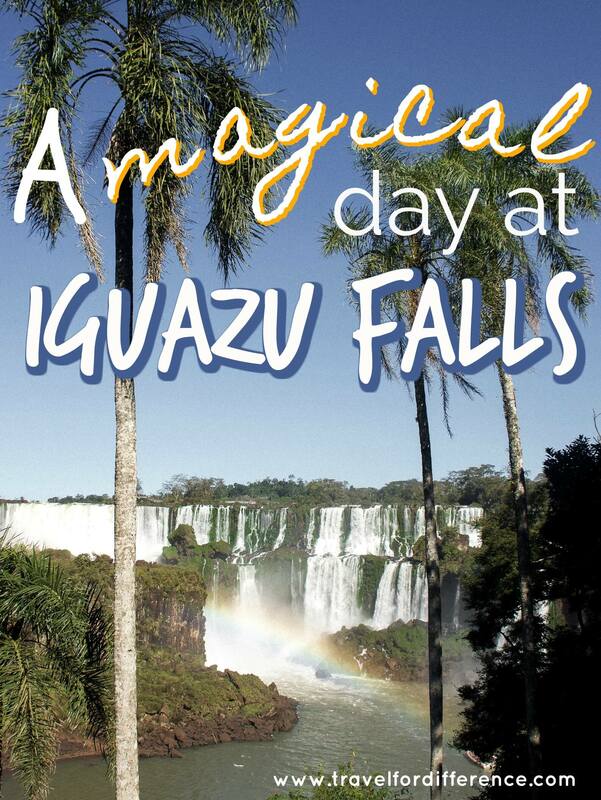 Have you been to Iguazu National Park? Did you experience the crazy crowds too? The name of your blog is so beautiful, I love to travel so I found this post really nice. This location looks so attractive!